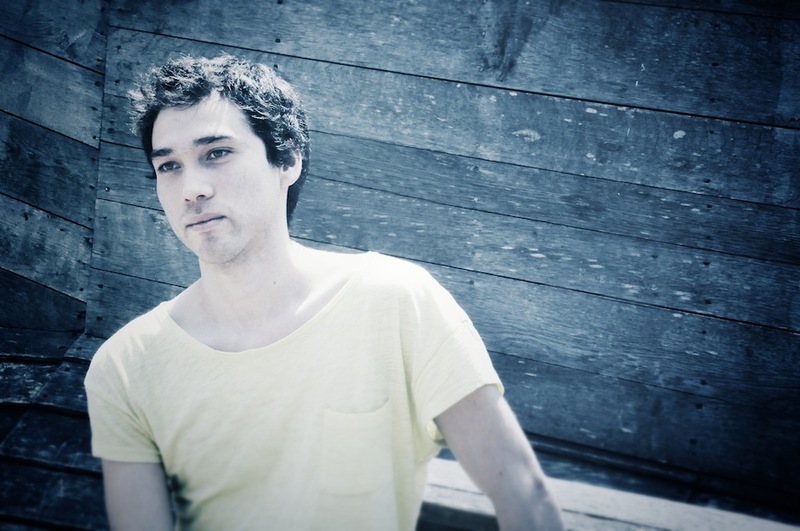 Ricardo Tobar may not be the most prolific of producers—he all but disappeared after his brilliant Boy Love Girl EP was released on Border Community at the height of their florid techno pomp in 2008. However, last year Tobar released Betweener on Dutch label Knopje; fittingly titled, it collated the music lurking on his hard drive from the intervening years and was followed swiftly by brand new material in the form of EP Esoteric Carnaval. The Chilean producer was back on the radar and, as if to seal the deal, his debut album Treillis is dropping next week on French label desire. We’re hyped to be exclusively hosting the stream right here. Like his earlier work for Border Community, the music on Treillis displays his nose for melancholy, for detailed, humid textures and careening melodies. However, this time around those buzzing synths and spry rhythms come caked in noise and distortion—a taste for busted drum machines and creaky gear has given a dark heft to a sound that is now defiantly off-grid and intuitive. We landed a track-by-track with the man himself to explain all, below. Ricardo Tobar: This is one of the first songs I had for the album, along with “If I Love You”, “Back Home” and “Essen”. I remember listening to this over and over thinking it would be a good intro for something. I like the digital distortion in it, though I usually don’t like digital clicks. RT: This song is all about the arpeggio and the progression. It seems like an easy melody but I remember it wasn’t so easy to make. It’s kind of an “emo” song, though, so I wasn’t sure if it would make it into the album. In the end I thought it had enough roughness and I liked the wow-flutter effect, which reminds me of an old tape. RT: One of the new songs. I was really into doing the album every day like a day job, not going out of the house and just listening to the same beat over and over again. That’s when I decided to do the most melodic thing I could do. I think the album is that really, just me trying to put all the melodies on the table to get rid of them and move on. RT: I can make this kind of poppy melody really easily, and I have loads of songs that I never finish because of that. I decided to put something like that on the album just for the sake of it. I think the only reason why it made the cut is because of the sound—I like the tape saturation and even though it sounds pop it will never be a hit because of that distortion. The name explains the song too: I have hundreds of songs like this one. RT: This song puts pictures in my mind. I just see someone jumping into the water, going down and down. I wanted to put more distortion into the bassline though. Listening to it now I don’t know why I didn’t add that. RT: This is the last song that I did. It’s one of the more melodic ones along with “Garden”, I think they are quite related with all the modulation going on the synths. The mix is not the best one and everything melts together in the end, which I like. It also has an epic feeling for me and it’s probably one of my favorites in the album. I wanted to push everything on it. RT: I can understand why people think this is the highlight of the album. It’s a really direct song, with a tight structure. I like the detune in it and I love to play it live. The last bit started as another song, but I wanted to put it as an outro here. I think they go well together. RT: This song is a loop going through a tape. It has a schmaltzy and corny melody and maybe it’s a filler, but in the end I like it and thought it was a good intro to “Back Home”. RT: I wrote this when I was leaving Berlin for the first time. It was the worst winter I had ever seen and I was prepared to see my friends and family in Chile. I was using my roommate’s monitors and I couldn’t believe how good they were! I was going back home the next day and it was a weird feeling. Treillis by Ricardo Tobar is released October 28th via desire.